This boisterous hunting dog is a multitasker par excellence: not only can he point birds and other prey, he can retrieve them on land or from water. He is highly intelligent and a creative thinker. The German Wirehair’s harsh, wiry double coat is weather-resistant and water-repellent. It’s one of the things that makes him such a versatile hunting dog because he works well on land and in water. 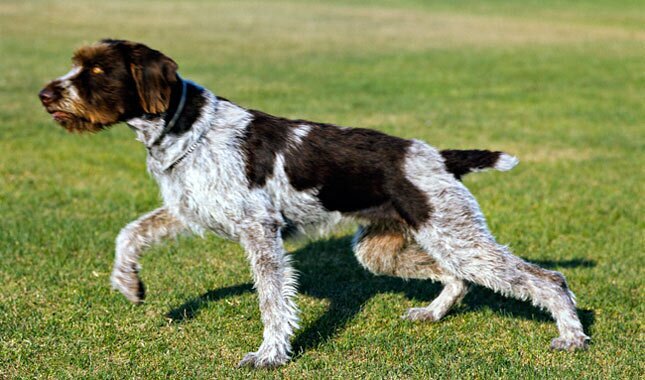 The German Wirehaired Pointer was created primarily through judicious crossings of the Pointer, Foxhound, and Standard Poodle. 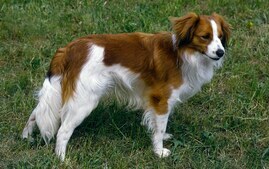 The result is a wire-coated dog capable of pointing and retrieving equally well on land and in water. With that coat to protect him, he sneers at rough terrain. A versatile, medium-size hunter, he’s capable of bringing home feathered and furred game. Needless to say, he’s an active, complex dog with special needs (i.e., an owner who can match his intelligence and activity level). Like most dogs, GWPs become bored when left to their own devices. They can become noisy or destructive if they don’t have other dogs to keep them company and don’t receive much attention. But when they live with a family committed to giving them plenty of training, exercise, and attention, they thrive. They do best in a suburban or rural home with a large yard or other opportunities for safe outdoor activity. The GWP’s coat is easy to groom and sheds little throughout the year. It’s water-repellent and dries quickly after a bath or other wetting. Avoid choosing a puppy with a long, soft, silky, or woolly coat which requires more grooming to prevent mats and tangles. The GWP’s greatest desire is to spend the day playing with his people and then resting his head on someone’s feet in the evening. He is a people-loving dog who needs to live in the house. The German Wirehair is a medium-size hunting dog who is noted for his beard, whiskers, and eyebrows; a rectangular body protected by a wiry coat; and brown eyes that give him an almost human expression. 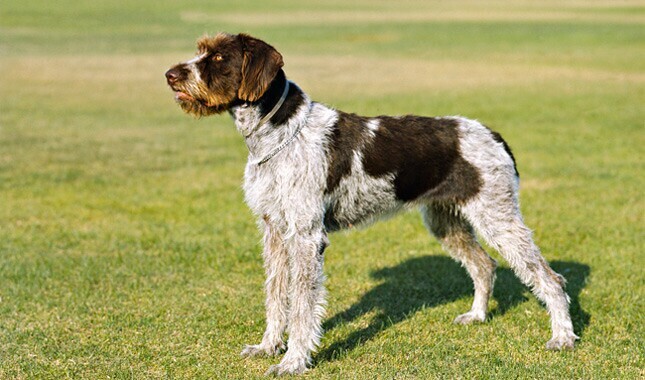 The German Wirehair’s coat is liver and white and can have a spotted, roan, or ticked pattern. Roan is a fine mixture of colored hairs with white hairs; ticking is small, isolated areas of dark hairs on a white background. 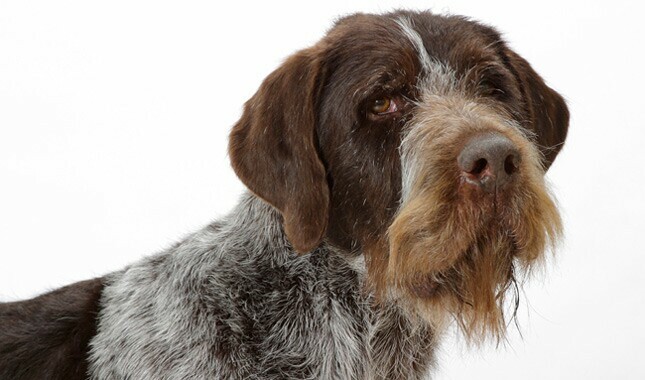 The German Wirehair’s beard, whiskers, and eyebrows (known as furnishings) protect his face and eyes from injury. 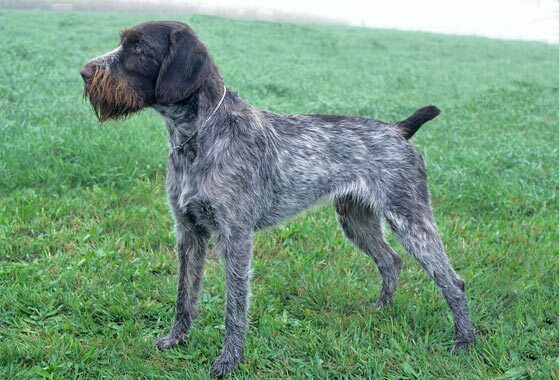 He might have the word pointer in his name, but the German Wirehair was created to be a multitasker. German hunters were tired of the single-purpose dogs available to them — dogs that only retrieved or only pointed — so they methodically developed a rugged, versatile dog that could scent out, point, and retrieve any type of game on land or from water. 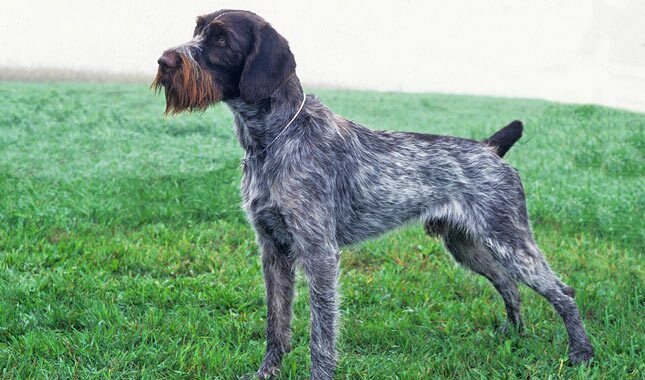 Working with the German Shorthair, Pudelpointer, Griffon, Polish water dog, and several other breeds, they came up with the all-purpose dog that became known as the Deutsch Drahthaar (aka the German Wirehair). 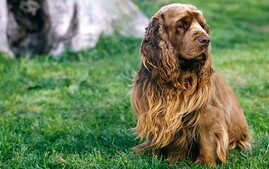 The Wirehair was accorded breed status in Germany in 1870, but it took longer for him to achieve recognition in the United States. The first German Wirehairs were imported in 1920, and the American Kennel Club recognized the breed in 1959. 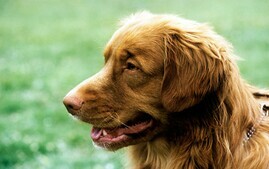 They rank 73 rd among the dogs registered by the AKC, a testament to their popularity as hunting and field trial dogs. The first thing to know about the German Wirehaired Pointer is that he’s, well, wired. 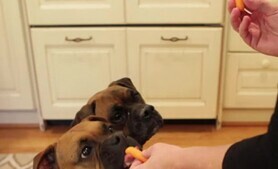 These dogs are active, boisterous, and demanding of your attention. 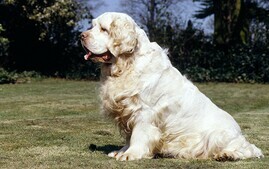 He’s a super field trial dog, with the stamina to accompany hunters on horseback for hours on end. If you’re not a hunter, plan to channel his energy and brains into dog sports such as agility, flyball, rally, and obedience. It’s not impossible for him to participate in all of them concurrently. You’re also likely to find him doing therapy dog work, search and rescue, skijoring (pulling a person on skis), or drug detection. And, of course, he’s a great hiking, camping, or jogging buddy. German Wirehairs take well to training, like most sporting breeds, but they are creative and independent thinkers. If you don’t stay one step ahead of them, they will put their own twist on whatever you’re trying to teach. With this strong-willed breed, it’s important to establish rules, be consistent, and, above all, prevent the dog from getting bored. 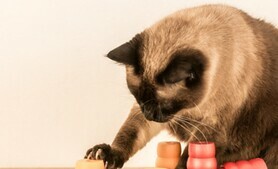 Use positive reinforcement techniques such as play, praise, and food rewards. When they’re raised with children, German Wirehairs are great companions, but older dogs encountering children for the first time will need supervision, especially if young children are involved. They may or may not get along with cats and other small pets. Puppies that are raised with cats often accept them as part of the family, but older GWPs who aren’t familiar with them may simply view them as another type of prey. Keep them separated if you have any doubts at all. 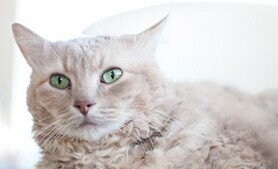 Most do best in a home without cats or other preylike pets such as rabbits or hamsters, and you would do well to warn neighbors with free-roaming cats that their pets may be at risk. The German Wirehair is devoted to his own family, although he may choose one person as a favorite. With strangers, however, his attitude can range from aloof to downright unfriendly. He is alert to unusual sounds and protective of his home, so he makes an excellent watchdog. Other dogs, beware: The GWP can be aggressive toward any animal he doesn’t know. As a hunting dog, he’s a close-in to mid-range hunter, depending on how he has been trained. His rugged build and coat make him suited to any terrain, and he’s super at trailing game, thanks to his powerful scenting ability. The German Wirehair is smart, stubborn, energetic, hard-working, curious, and a creative thinker. All of those qualities make him a challenge to train. Be patient, firm, and consistent, and don’t give him any opportunities to make mistakes. Besides providing him with at least an hour of strenuous exercise daily, give him a job such as fetching the newspaper or bringing you other items so that he has an outlet for his energy and intelligence. He can do well in agility and obedience trials if you have the talent to work with his creative mind. Talk to the breeder, describe exactly what you’re looking for in a dog, and ask for assistance in selecting a puppy. Breeders see the puppies daily and can make uncannily accurate recommendations once they know your lifestyle and personality. Whatever you want from a German Wirehair, look for one whose parents have nice personalities and who has been well socialized from early puppyhood. 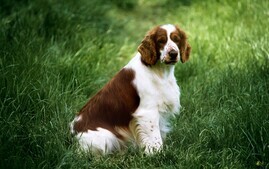 German Wirehaired Pointers are generally healthy, but problems that have been seen in the breed include hip dysplasia, von Willebrand disease and eye problems such as entropion and progressive retinal atrophy. At a minimum, ask the breeder to show evidence that both of a puppy’s parents have hip and elbow scores of Excellent, Good, or Fair from the Orthopedic Foundation for Animals or a PennHIP score that ranks in the top 25 percent of the breed. 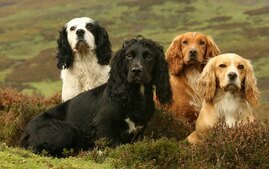 Also seek a certification from the Canine Eye Registry Foundation that the eyes are healthy. The German Wirehaired Pointer Club of America participates in the Canine Health Information Center Program. 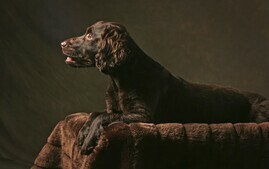 For a GWP to achieve CHIC certification, he must have OFA or PennHIP certification for hips and elbows, an OFA thyroid test, annual eye clearances from the Canine Eye Registry Foundation, and a DNA test for von Willebrand disease. Additional tests that are recommended but not required are OFA cardiac and patella (knee) certifications. Breeders must agree to have all test results -- positive or negative -- published in the CHIC database. A dog need not receive good, or even passing, scores on the evaluations to obtain a CHIC number, so CHIC registration alone is not proof of soundness or absence of disease. But, all test results are posted on the CHIC website and can be accessed by anyone who wants to check the health of a puppy’s parents. Participation in the CHIC program is a sign of a good breeder. Careful breeders screen their breeding dogs for genetic disease and breed only the healthiest and best-looking specimens, but sometimes Mother Nature has other ideas. A puppy can develop one of these diseases despite good breeding practices. Advances in veterinary medicine mean that in most cases the dogs can still live a good life. If you’re getting a puppy, ask the breeder about the ages of the dogs in her lines and typical causes of death. Remember that after you’ve taken a new puppy into your home, you have the power to protect him from one of the most common health problems: obesity. 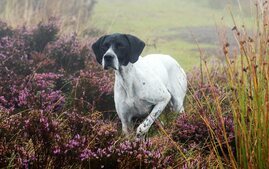 Keeping a GWP at an appropriate weight is one of the easiest ways to extend his life. Make the most of your preventive abilities to help ensure a healthier dog for life. 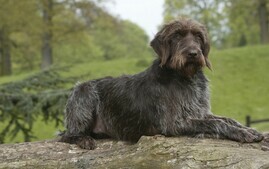 The German Wirehair has a harsh double coat that is easy to care for in some respects but does have some special needs. For one, it must be stripped — dead hair plucked out by hand or with a stripping knife —which can be tedious. Most GWPs must be stripped twice a year, in the spring and fall. Tools you’ll need to groom this breed are a bristle brush, a stainless steel comb, and an assortment of stripping knives. Ask your dog’s breeder for advice on how to strip the coat or visit this GWP breeder’s blog for excellent tips on grooming the GWP. If his coat is properly cared for, a GWP rarely needs a bath unless he has rolled in something stinky. Let mud dry and then brush it out. Look for a shampoo formulated for dogs with wirehaired coats. 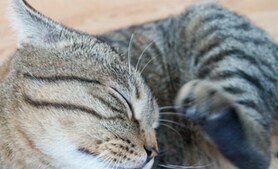 Be sure to check the paw pads regularly for anything that might be stuck in the fur or between the toes such as seeds, stickers, or sticky substances such as tar. Comb out the beard and mustache daily to remove food or anything else stuck in it. Finding a quality breeder is the key to finding the right puppy. A good breeder will match you with the right puppy, and will have done all the health certifications necessary to screen out as many problems as possible. 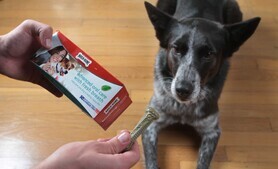 He or she is more interested in placing pups in the right homes than making big bucks. Look for more information about the German Wirehaired Pointer and start your search for a good breeder at the website of the German Wirehaired Pointer Club of America. Choose a breeder who has agreed to abide by the GWPCA’s code of ethics, which prohibits the sale of puppies to or through pet stores and calls for the breeder to sell puppies with a written sales contract. The cost of an German Wirehaired Pointer puppy varies depending on the breeder’s locale, whether the pup is male or female, what titles his parents have, and whether he is best suited for the show ring or a pet home. The puppy you buy should have been raised in a clean home environment, from parents with health clearances and conformation (show), and, ideally, working titles to prove that they are good specimens of the breed. Puppies should be temperament tested, vetted, dewormed, and socialized to give them a healthy, confident start in life. Before you decide to buy a puppy, consider whether an adult German Wirehaired Pointer might better suit your needs and lifestyle. Puppies are loads of fun, but they require a lot of time and effort. An adult may already have some training and will probably be less active, destructive, and demanding than a puppy. With an adult, you know more about what you’re getting in terms of personality and health and you can find adults through breeders or shelters. If you are interested in acquiring an older dog through breeders, ask them about purchasing a retired show dog or if they know of an adult dog who needs a new home. If you want to adopt a dog, read the advice below on how to do that. 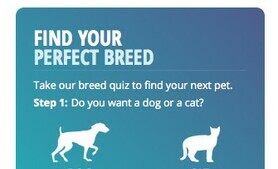 Sites like Petfinder.com and Adopt-a-Pet.com can have you searching for a German Wirehaired Pointer in your area in no time flat. The site allows you to be very specific in your requests (housetraining status, for example) or very general (all the German Wirehaired Pointers available on Petfinder across the country). 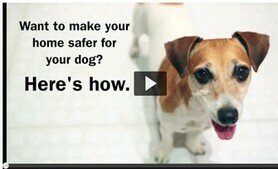 AnimalShelter can help you find animal rescue groups in your area. Also some local newspapers have “pets looking for homes” sections you can review. Start talking with all the pet pros in your area about your desire for a Wirehair. That includes vets, dog walkers, and groomers. When someone has to make the tough decision to give up a dog, that person will often ask her own trusted network for recommendations. Most people who love German Wirehairs love all German Wirehairs. That’s why breed clubs have rescue organizations devoted to taking care of homeless dogs. The German Wirehaired Pointer Club of America’s rescue network can help you find a dog that may be the perfect companion for your family. 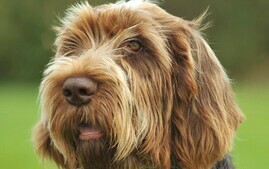 You can also search online for other Wirehair rescues in your area. The great thing about breed rescue groups is that they tend to be very upfront about any health conditions the dogs may have and are a valuable resource for advice. They also often offer fostering opportunities so, with training, you could bring a Wirehair home with you to see what the experience is like. Wherever you acquire your German Wirehaired Pointer, make sure you have a good contract with the seller, shelter or rescue group that spells out responsibilities on both sides. Petfinder offers an Adopters Bill of Rights that helps you understand what you can consider normal and appropriate when you get a dog from a shelter. In states with “puppy lemon laws,” be sure you and the person you get the dog from both understand your rights and recourses. Puppy or adult, take your German Wirehaired Pointer to your veterinarian soon after adoption. Your veterinarian will be able to spot problems, and will work with you to set up a preventive regimen that will help you avoid many health issues.